Now that NFL preseason is rolling, it’s time to start getting serious about our futures bets. I’m a big fan of futures because they can provide season long fun and as well as some great value. That’s what this article will try to do, find some value in the NFL regular season team wins in the NFC East and North. 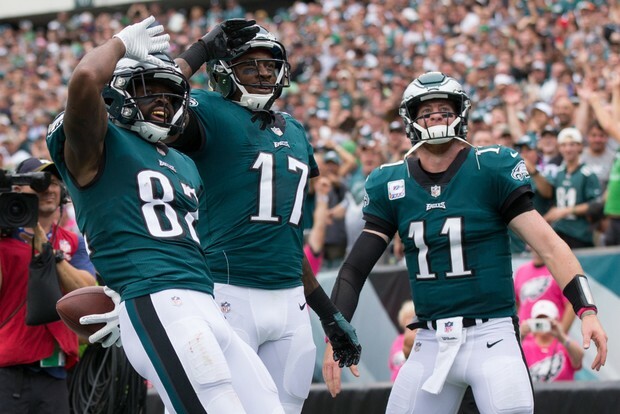 The Philadelphia Eagles are both the favorites to win the NFC Championship and win the East, so their win total of 10.5 makes sense. The Cowboys are next at 8.5 with both the Giants and Redskins at 7. Going back three years shows quite a variance in season win totals for the Cowboys (4, 13, 9) and the Giants (6, 11, 3). Can Dak Prescott find anyone to throw the ball to with Dez and his “old faithful” Jason Witten gone? Will ODB show any ill effects of last year’s ankle injury and/or will Saquon be the savior for Big Blue? I don’t think the Giants D is as bad as they looked last year, but with the 8th toughest schedule (tied with the Bears and Vikings – who we will talk about soon), seven wins could be a stretch. These totals are posted after the Guice injury; I didn’t like the Skins much before he went down, and now I like them even less. The Eagles at 10.5, having won 7 games in 2015 and 2016 and 13 last year, would be a good bet to win 11 games as long as they get their QB injuries sorted. If sportsbooks are accurate in their win total assessment for the teams in the Norris division, NBC Sunday Night Football in Week 12 on November 25th may be the first game of the season that has a true playoff feel to it. That matchup will feature the Minnesota Vikings hosting the Green Bay Packers in their second and last meeting of the season. They also play Week 2 at Lambeau. Why will this game be significant you ask? Because both the Pack and Vikings projected win totals are at 10. Depending how the rest of the season plays out, come Week 17, this game may have had playoff implications. Last season was the first since 2013 that didn’t have two representatives in the playoffs from the NFC North, so it’s not beyond the possibility that both these teams make the playoffs. However, winning the division is usually more beneficial, except in this division a couple years ago when the top team had the pleasure of playing a tough Seattle squad in the Wild Card game, a game the Vikings lost 10-9. The last three seasons saw the Lions finish with 7, 9 and 9 wins, and at 7.5 heading into this season, with the second toughest schedule, pundits have them repeating last year’s record and finishing with 9 wins. Tough call. At 6.5, have the Bears done enough to best the 5 wins they mustered last year? 2015 saw the Bears win 6 with only 3 W’s in 2016. The Bears also are in the top 10 of most difficult schedules. If you can get a good feel for where the Bears are in their rebuild, they provide some great value when betting on their regular season win total. If you have never wagered on futures, give it a try. Like I said earlier, they provide season long entertainment, and if you do your homework, there is great value to be had. Think you know football? Put it to the test. If you can find that breakout team that seems to pop up out of no where every season, put a few shillings on them, and if the breaks go their way, you’ll be a winner before the season is even over. With the ever-changing landscape of the NFL, betting value can be had. It’s important to find where it is, and get your wager in before oddsmakers see that value and move the number to make up for it. 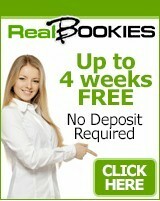 Go visit your online sportsbook today and get your bet in.